Sign up to LabourList’s morning email for everything Labour, every weekday morning. As we recover from Labour conference 2018, members are discussing what actually happened in those last five days in Liverpool. It was certainly a more muted affair than the one we expected, and each faction seemed to come away with something to be hopeful about. Corbynsceptics are satisfied that the more radical party rule changes on the table – particularly mandatory reselection – either didn’t get through or were pushed back another year, to be decided by conference in 2019. As Luke Akehurst writes for LabourList today, they think Momentum “snatched defeat from the jaws of victory”. Plus, I hear Labour First’s rally was ram-packed. Those on the pro-EU side of Corbynscepticism are also delighted by the idea that Keir Starmer is successfully pushing the party ever closer towards a ‘people’s vote’ with the option to remain – or at least BRINO (Brexit In Name Only, i.e. customs union and single market membership). Although open selection wasn’t passed, Momentum did help push through a reformed trigger ballot system that will lower the bar significantly for those wanting to deselect their local Labour MP. And as for the leadership nomination threshold, disaster was averted for Momentum: rather than require union and CLP nominations, candidates can (with MPs’ support) choose between the two, a hurdle that shouldn’t be difficult to overcome. The World Transformed – the festival that grew out of Momentum – was a roaring success, with fascinating events and fantastic parties that again provided an alternative to the comparatively stuffy conference centre. Trade unions are widely seen as the real winners this year. They got the conference arrangements committee (CAC) through and thus union-backed proposals from the democracy review passed, and got more of a say in leadership contests. It’s not all raindrops on roses and whiskers on kittens, of course. Yesterday afternoon saw Unite’s Len McCluskey use a LabourList piece to hit back at critics and defend his union’s votes on the conference floor. “Unite has indeed got a policy in support of mandatory reselection,” he writes. “Had that issue been voted on directly, the Unite delegation would have voted in line with policy. But we have another policy, which I recommend to Chris Williamson and all Labour MPs: we support Jeremy Corbyn.” In response, Momentum/Labour International activist and open selection campaigner Steve Hudson maintains that Unite delegates blocked open selection by approving the fixed agenda, and argues that “Corbynism was never about giving power to Corbyn”. Was Labour conference 2018 a success for the man himself? 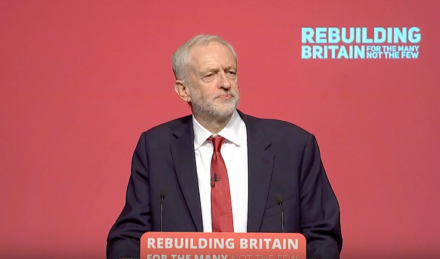 Although reporters were disgruntled by Corbyn’s accusation that they “smear the powerless” and confused by the lack of news lines in his 60-minute speech, it was covered largely positively by broadcasters and came out particularly well when divided up into bite-sized clips. While ‘Love Corbyn, Hate Brexit’ did capture the mood of most delegates, the leadership managed to offer hope to those pro-EU campaigners without actually promising all that much. Overall, although conference was dominated by rows over rulebook changes (unlikely to cut through to the general public) and Brexit (more likely to cut through, but nowhere near as bad as the Tory infighting we’ll see next week), differences were resolved fairly amicably and there were no huge stories about antisemitism. Today Corbyn will meet EU chief negotiator Michel Barnier and continue to deliver Labour’s key message: we are ready to govern.